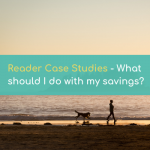 Reader Case Study – Pay Off Large Debts or Invest? 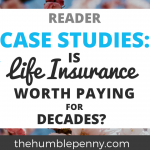 Welcome to the first ever Reader Case Study on The Humble Penny. I am super excited about this because the goal of these case studies is to solve real problems. 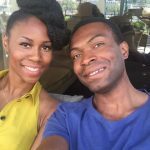 If you’re new to this, the case studies are a way for me to better interact with the subscribers of this blog. Solving such problems is what The Humble Penny was created and exists to achieve. In addition, they get crowdsourced responses from others in the comments below. As these case studies are real-life situations, I commit a fair amount of my time to considering them and responding. I would also appreciate as much detail as possible about your situation and a clearly articulated problem. Your problem has to be within one of the categories of this blog. I.e. Money Making, Money Saving, Investing, Side Hustles, Debt Free, Financial Independence, Blogging, Relationships, Life etc. Please make no assumptions. Simply write in and I’ll attend to you personally. 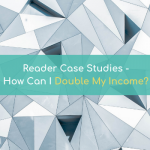 This is great that you are starting the Reader Case Studies, and I’d like to jump in quick to tell you about a particular challenge we are facing right now. I’m in my early 40’s, married with two young children one of which is starting school this September. We used to be, like you, debt free and it was such a great feeling. However, with the arrival of children and some major further education-related expenses in recent years, we have started accumulating debt again (around £80k). However with current expenses (£9k/month) and looking ahead (my first child is starting an independent school in September with the second one going to nursery full time), we have just a bit to put away either as savings or investment. Until now we have been trying to do all three; clear debt, pay off the mortgage and invest. The challenge with this approach is that as soon as we have any ‘new’ significant outgoing we look to our savings and investments and then some debt. So that formula doesn’t really work for us. How would you recommend we tackle this? Should we focus on paying off the mortgage on our property (around £300k, 27-years term at 1.25%) over clearing the existing debt and or investing elsewhere? I feel with a tunnel vision approach (and some stretching), we could clear the mortgage in 10 – 15 years and be mortgage free in our 50s. However I can’t help but feel that this approach means we will have to forgo the potential returns on investing the money elsewhere. It also means we will still have some level of debt and not necessarily be debt free approaching retirement. I guess the question I’m really asking is if someone in our situation had to choose only one option between clearing debt, investing, or clearing off mortgage, which one makes the most sense? We do not have a significant pension pot (£20k between us) and given our age this is becoming more concerning. We are hoping that when it is time for retirement we could sell our home and downsize but that will really depend on the value of our property then – currently it is around £500k. Also, while we earn quite well now we are concerned that if either one of us had to be out of work for anything up to three months we would find it extremely hard to keep up with our current expenses. 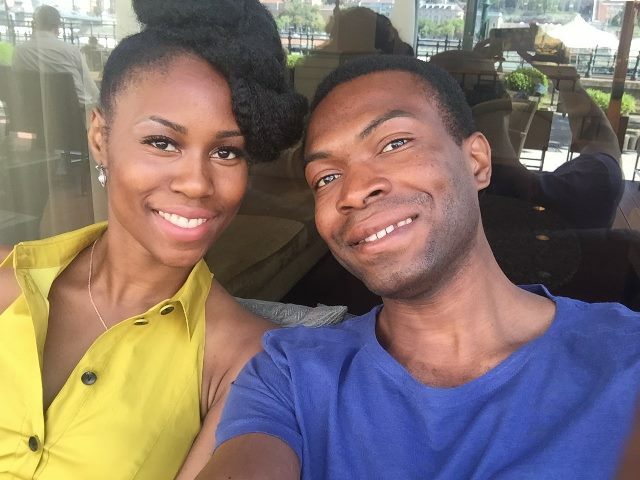 Finally and also quite importantly – being economic migrants who returned to the UK in our early 20s, my wife and I have worked really hard for years to get where we are now. Thanks again for the opportunity to share this with your readers and I’m keen to hear back from you and any other person who has been through similar challenges. 30+ Life Changing Books I Recommend – Investing, Financial Independence, Money Mindset, Business etc. Thank you for writing in and taking up the opportunity of being the first ever featured Case Study on The Humble Penny. I read your case with a lot of interest whilst on a 4-hour flight to Greece. It's a very unique and yet classic situation that I am pretty sure many people will identify with. Congratulations on where you’re in your life income-wise. You’re probably in the top 1% of earners on the planet! You are in a very exciting and yet challenging stage of life too with young children. I can totally identify with this as raising children can be a hugely expensive undertaking. Not to be compared ofcourse to the priceless joy and responsibility that comes with being a parent. I also wholeheartedly identify with your journey as an immigrant, working hard and shooting the lights out. Before I dive into my thoughts on your situation, I'd like to point out that what I am writing about below is not financial advice. It's boring but important admin that I need to make clear. As such, always seek professional advice if you need to. I created this because it’s a simple way of identifying the overall value you potentially have now, and also where the pain points are. A visual image also serves as motivation to find ways you can increase your net worth, usually by increasing your assets and decreasing your liabilities. Your net worth will be analysed in detail further below. There are 7 key points I've identified from your letter. Observation 1: You have to choose between paying off personal debt, paying off the mortgage or investing elsewhere. Which should you focus on and why? This is the main question you asked. One of the reasons why I prepared your net worth above is to state the obvious – £80k personal loans and the £300k mortgage are both debts. Both accrue and compound interest daily but at different rates. In addition, you have an obligation to pay both back. Investing on the other hand is currently a luxury. You only ever think of investing if you have some long term goals. For you, this appears to be retirement some day. Although investing is something you most certainly should have started already, you can get this wrong and sink even deeper than you currently are. At this very moment in time, the most important focus should be on cash flow. I.e. what's going out and what's coming in and why. This question of why you're doing what you're doing is the most important question you can ask. In fact, it's one you should ask daily as it will help you challenge some of existing false beliefs. Now, to be clear, in your above scenario, I'd focus squarely on paying off debt. Another way to look at the debt pay off vs investing scenario is by considering which path will make you richer by the time you're 50? The answer to this is that you'll likely be richer in 10 years if you focused your efforts on paying off debt first. I am focusing on 10 years from now because I want you to think long term. When you presented your case to me, you were likely thinking short term. Whenever you think long term, you're more likely to factor in risk. When you're considering a potential 8% return on investment to paying off say, 4% on a personal loan, you aren't factoring in risk and the slowing down of your life as time passes. In life, what you Focus on is what you Win at. This applies to all aspects of life. If you concentrate on training for a marathon for 12 months, you'll most likely do it. Same probably applied to the unbelievable focus you had when you were courting your wife. You put everything in, focused and courted and got a result (happily married life) at the end. Note that you would have focused on her exclusively otherwise she won't have married you. When you focus on paying off debt exclusively and temporarily, you'll be better positioned to build wealth. Increase your net worth all at the same time. The choice of which debt to pay off quicker is interesting. 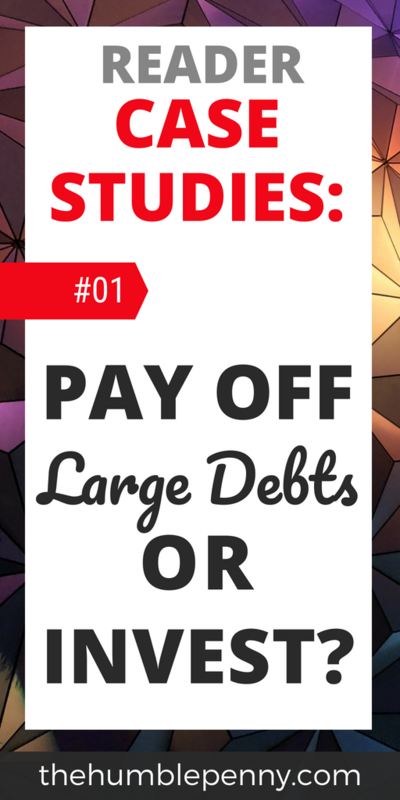 There are typically two methods when approaching debt. Debt Avalanche – This is where you'd focus on the debt that hurts the most in terms of interest rate. I presume this would be your £80k debt. Debt Snowball – This is where you pick your smallest debt, pay that off and then focus on the next smallest debt. Again, this would be your £80k debt. Given you have asked me to choose one method, I would choose to pay off the £80k debt as I presume it is costing a lot more. However, given your current age, I would personally approach this as a hybrid. At first, I’d make sure I am meeting the minimum required capital and interest payments on both debts. Then I would aim to overpay on both as your mortgage term at 27 years is very high. The mortgage would likely have the longer period for the debt to compound, as such any overpayments will have high impact. Overpaying also makes a contribution towards your retirement outcomes as you'd want this paid off ideally before you have optional or forced retirement. And let's not forget, forced retirement doesn't just come because you turn 67. It could be the result of ill health from you or a family member. If you overpay by £500 a month, your term drops from 27 years to 17.5 years. That’s 9.5 years of no debt. Say you overpay by £750 a month, your mortgage term drops from 27 years to 15 years. That’s 12 years of no debt. If you overpay by £1,000 a month, your mortgage term drops from 27 years to 13 years. That’s 14 years of no debt. It can all come from a commitment you make today to becoming debt free. Where do you find this extra money? You can definitely find it in your £10k net income per month. Your current net worth tells a story that is very unusual for someone with your level of income. Coincidentally, your current net worth is exactly the same as your current joint annual income of £120,000 (net). However, when we take a closer look, there is more to observe here. One way of measuring the financial health of any household is to check the ratio of Debt to Net Worth. If this ratio is around 1, it means things are fairly healthy. If this ratio is below 1, then you have a very financially healthy household. Your ratio comes in at 3.17. This means that you need 3.17 times your current net worth in order to pay off your current debt. Another way to look at it is that your current life style is predominantly being financed by debt. Even more concerning is the question of why your net worth isn’t growing through retained savings. For such a high household net income, the above picture could look a lot better. This raises the immediate question of: What choices have you subscribed to? And why? More on how to deal with this below. Observation 2. 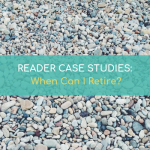 You want to retire one day but it's unclear when and how you can. I find it interesting that you consider retirement fairly casually and without a plan. This is not uncommon as most people do not know how to approach this or at worst avoid the topic. What's dangerous about this is that you expect your current income to keep coming in for the foreseeable future. As you and your wife are in paid employment, this is even more of an important consideration. What I'd suggest is that you work towards a plan of Optional Retirement. This is the age at which you have enough to possibly retire on but carry on working because you want to. Setting such a date in stone will put much else in context. For this to happen though, something has to give as you can't carry on with the current path. To go down the path of Financial Independence and optional retirement, you need to consider how much money is enough. A very important metric on that path is your savings rate, which is currently 10% (£1k saved out of £10k per month). An important relationship to note is that the higher your savings rate, the closer will be your date of optional retirement. What you should be aiming for is a savings rate of circa 40%+ if you’re to start getting serious about your retirement options. An alternative to boosting this is to create a profitable side hustle. This, however, is not your primary concern as you have a lot of fat to trim off your current expenses. Observation 3. You've made some choices that have led to little room for manoeuvre. Life is a collection of all our choices. As we're usually the subjects in our decision making, what we choose to do usually seems right at the time. You made some decisions so far and I'd challenge you to make a list of your top 3 outgoings. With this list, I'd challenge you to rethink them. Your decision today is key. Given what you now know, how would you like to distribute your resources? I'd recommend you take your wife away for a day to consider this very point. If you had to design your life today, what would it look like? At age 50, what would you like life to look like? Life shouldn't be choking financially. Especially for someone with your income. I know personally that the decisions you're faced with are difficult. But if you don't get them right now, life could be more challenging than it needs to be for the future. Observation 4. You currently don't have a safety net and would like one. What you need here is an Emergency Fund. 3 – 6 months of savings that you have as a cushion to prepare you for emergencies. This should be separate from your long term savings for other goals such as retirement. To begin saving for this, you need to free-up more to save from elsewhere. I'd recommend you join and go through the Free Practical Money Course below. It covers all you need to know about Emergency funds and much more. Observation 5: You feel you're running out of time. It might seem like you're running out if time, but the best place to begin is where you are right now. Your greatest wealth building tool is your income and what you do with it. Most people can only dream of an income like yours. If you decide today to prioritise things that will help you and your wife (and not just your kids), it will matter a lot by 50. Observation 6: You're still accumulating debt. The best way to stop this is to have a pact with your wife never to take on more personal debt. This will be difficult initially but is achievable. 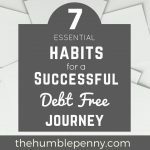 Gradually, deciding to spend less on certain things and reserving more of your net income, you'll get weaned off debt. Set small goals e.g. No new debt in the next 3 months. Once you achieve that, extend the timeline. Observation 7: You want to enjoy life. Enjoying life is important and necessary. I love travelling for example. But doing that comes as a priority to many other things. For example, we drive a cheap car. We don't pay for cable TV. We take lunches into work. We don't have “pocket money” etc. We live frugally but also enjoy life by doing things that are free or involve nature or planned holidays booked to save money etc. By all means, enjoy life. You need it for your marriage, kids and all round sanity. But given your circumstances, the less of it involves money, the better. This is a biggie. Given you're forecasting £382k of future education expenses and only have a £20k pension, something seems out of whack! Please think deeply about this. Your kids will be a success in one way or another. Investing in their education is a good idea to an extent. And it doesn't have to be paid for always. You can either move home to an area with very good state schools. Or you do private education only for Primary education at most. This area is essentially where a lot of your future wealth will disappear to. It's also an area where I will challenge you to question any false beliefs you might have about private education. If you sold your home for £500k and paid off your £300k loans, you could buy a house cheaper than £500k in the UK. If you bought one for £400k (far away from London) and plowed all £200k into it, you'd only have a £200k mortgage. With a potentially growing income and decreasing liabilities, you can start to invest heavily for a secure retirement. Note that the choice to buy an expensive and often large home is one of the reasons many will be in debt for a long time. You're in an extremely fortunate place with the joint home income you have at £120k net. However, you cannot have everything in life and need to choose very carefully. There have to be some real trade-offs. Your early 40s is a good time to change the game up and plan for a more sustainable life with margin built in. The one thing you can guarantee is that you're getting older. As such, you need to be more intentional about your retirement and create options in your life. These decisions are difficult but are necessary for a future life that has margins and less concern. I look forward to hearing how you progress and what you decide to do. Please share whenever you can. If you need further specific Coaching about designing Your Life or a Plan for Financial Independence and Retirement, please get in touch with me. Over to you. What do you make of John’s situation? What would you do in his shoes? Please help him by commenting below. 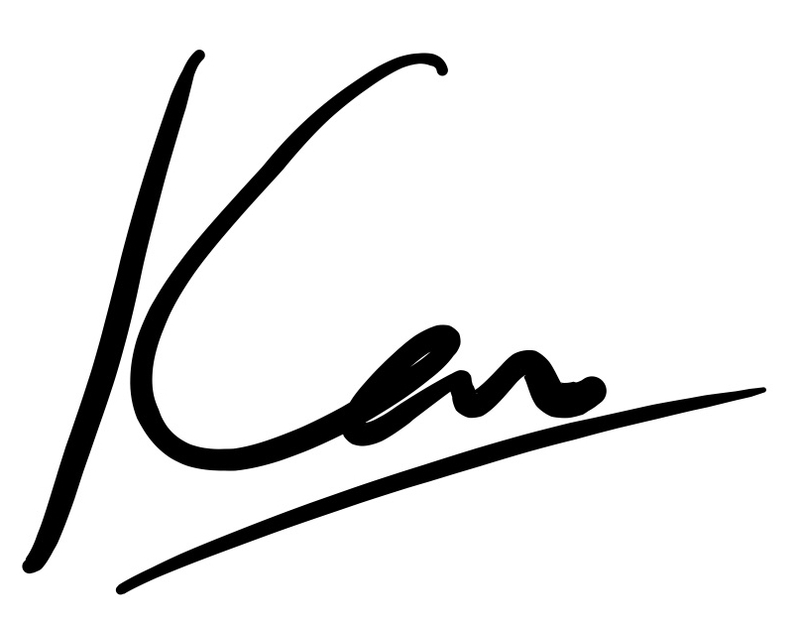 Here are a few comments from me to help with Ken’s suggestions. Again not financial advice, just my thoughts. Again well done in getting your earnings so high, you can easily turn this round big time. I’m going to concentrate on your debt and expenditure. First of all the mortgage at 1.25% you are not paying a lot of interest but the time frame is too long so you will need to get that down by over paying. I don’t think that is the most important thing though. You need to get rid of that £80k as quickly as possible. I’m guessing most of the APRs will be much more than 1.25%. I would start with the highest APR and hit it first clear it and move on. Also if you have access to 0% APR credit cards shift as much as possible on to them. Now your expenses which I have commented on individually. Average monthly savings over the last 6 months: £1,000 per month – This needs to go to the £80K debt. Split of current £9k/month expenses: Superb. Mortgage costs – £1,112 per month – Ok this stays for now. Associated home costs – £1,138 per month – This is high, reduce where possible and move to £80k debt pot. Examine it closely, switch providers etc. Debt (including credit cards) – £1,820 per month. You need to up this big time. Monthly pocket money (including food, transport etc) – £1,200 – Again examine reduce, and move to £80k debt. Tithe – £1,500 – You need to reduce this for now until you clear that £80k debt. Other costs – £1,000 – What costs, can it go to the £80k debt or some of it? Savings – £1,000 – To the debt please. Future projected costs of Private education (2 kids over 10 years) – £382,308 – With your low pension pot I’m afraid this has to go. There are plenty of good state schools. When you clear the £80k debt which I think you could do in a couple of years. You need to start building you pension pot as a priority and at the same time reduce the mortgage time by over paying. Worry about this after the £80k debt. I wouldn’t worry about an emergency fund until the £80k debt is clear because if you are reducing debt you will have available credit but only for an emergency! Sorry for being so blunt but I wish you all the best in getting sorted out. You can get out of this very easily if you put your mind to it and have a very prosperous future. Great recommendations! I actually don’t think you’re being blunt at all. Good tip re shifting some of that debt to 0% cards. The point on giving is an interesting one. I am a big supporter of giving, however, John’s current contribution of £1,500 per month is quite steep (given the circumstances) and could actually be viewed as coming out of a deficit position. However, this is a very personal thing too. At this stage of things, every single outgoing should be held hostage. I’ll go out on a limb here and assume you are Nigerian because your position sounds like what a lot of young middle class Nigerians are going through. I’m not a financial analyst and I’m also here to learn but my two cents would echo Ken; “Shed The Fat”. I’m in my mid 30’s and I’m also just internalizing this because over here in Nigeria, we do a lot to live the good life and keep up appearances usually to the detriment of our personal finances. You’d be amazed how similar cultures become when it comes to making and spending money. The Germans are probably in a league of their own in their approach to savings and hatred for debt. This is quite something. Thanks for doing what you do. I like how you were thoughtful and deliberate in your response and how you were direct with your recommendations. If you make 10k a month and you spend 9k, something has got to give. You might want to put more money in your pension and debt and assume you make 8k a month and tailor your lifestyle and expenses towards that. Tithing is an interesting position here that I struggle with. I would expect that you should feel comfortable tithing the required percentage of your monthly net after allocating mandatory funds (like pension pre tax and monthly debts after tax) as that is ‘effectively’ your income. But as I said I struggle with it. You make a super relevant point about the lifestyle creep and the possibility that John would have spent within half his earnings if that’s where he was. Although John’s position is currently challenging, I would like to give him the thumbs up for having some savings at all and remaining within his £10k net. This isn’t always a given. Thank you, Stella, for your continued support. Glad to hear you’re finding the Case Studies helpful. Hi John, firstly well done for all your success to date, you and your wife have clearly worked hard to be where you are now. Also very commendable for actually putting yourself out there, many people in similar situation will also benefit from the suggestions on how to turn their situation around and it’s also an insight for others too. I would say to really evaluate your monthly spendings which I feel can be reduced a fair deal, eliminating debt is lifestyle choice, and once you’ve committed to that lifestyle then hard financial decisions you would usually be emotional attached towards will be so much easier to make. Savings can go towards bringing down the 80k debt. You can do it and we are all rooting for you. We look forward to future update. All the best. Thanks for touching on the emotional attachment to things. This is a HUGE topic, and the battle is mostly a mindset one. Human beings are predictably irrational and what might seem like the rational thing to do is not always what we choose to do in life. First of all thank you for sharing your situation. You are not alone and your challenge is closer to home for me than I’d want – but it is not insurmountable. Ken and others have given you really sound advice, and if you can implement half of what has been said so far I believe you will be out of debt and free to invest in no time. However one dimension I would like to add is the emotional aspect. 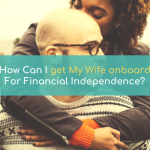 To earn what you currently do, allow me to presume, you and your wife have a decent level of financial intelligence. However I suspect the real challenge is consistently and objectively applying these principles of financial intelligence. I say so because I’ve been there. You work hard, you are somewhat successful, you earn more money, and the dreaded bit, you have more options to spend money on. While some people are super disciplined, others (like me) when faced with more options find it harder to differentiate between what they want (and have wanted for years) from what they really need – almost like a kid in a candy shop. 2. Together with your mentors, draw up a practical plan to reduce your debt over a fixed period. The plan should take into account your individual strengths and weaknesses. 3. Have regular (monthly) catch-ups with your mentors to review the plan and update where necessary. 4. 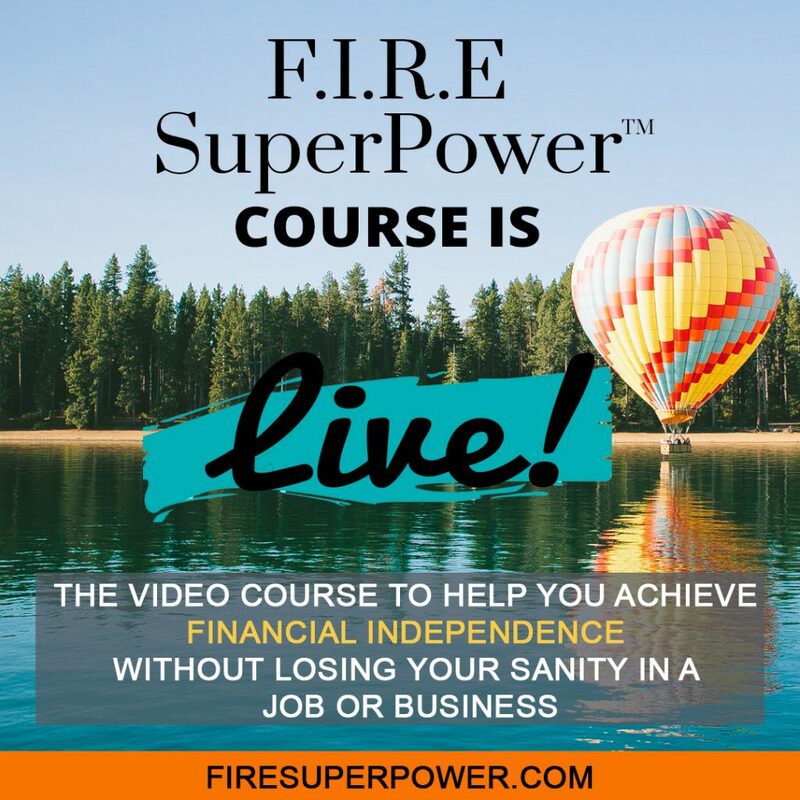 If you are not making progress in 6 months (which I seriously doubt) then you should explore other options for introducing accountability into your personal finances. In summary accountability is a very key element in achieving goals – while some people can do this on their own others need external help (i.e. mentors). I hope this helps and I wish you all the best – and well done to you and Ken for helping many other people in your situation. Thank you for such a detailed recommendation. Re “Mentors”, I have always been a huge fan. Having mentored probono for 8 years so far and now Coaching, I can most certainly attest to the fact that the fastest way to achieve results is through other people. And this applies to business too via effective delegation. Your proposal to have accountability partners is a good one. Trust plays a big role in this and I usually advocate not mixing money with friendships unless there is complete trust on both sides. Very interesting. The only points I can add concerns the private education. Since your eldest is starting school in Sept you have already committed yourself to paying up to £20k a year until at least the end of primary school. I say commitment because it would be difficult (emotionally) to pull your child out of school before they finish primary. I think you need to have adequate savings set aside for future school fees in the case of loss of income, illness etc. Perhaps enough for the current and following academic year, if not more. With your second child starting school the following year you would need to double up on this (I imagine it’s difficult to send one child to private and the other not to!). The first area I would look at is to reduce expenses as much as possible in order to save up for the school fees. I would try and balance this with paying off the £80k debt as I assume the interest rate on that is much higher than the mortgage and emotionally it may be quite a burden. Thank you for sharing. Wow, wow, wow! Is all I will say at this first case study! 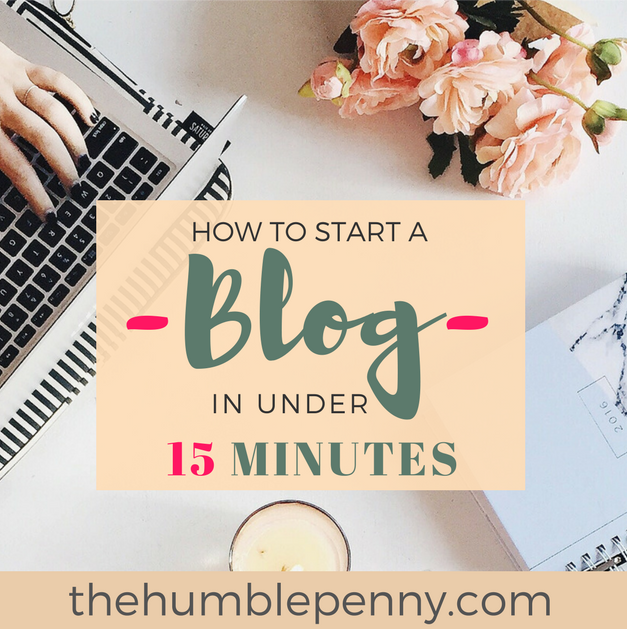 I am a new follower to your blog and love having a read of this when putting my girls to bed! Don’t like to waste any time when i could be learning! I am exceedingly interested to know how you ran the mortgage overpayment sums? My ultimate goal is to be debt free by the time I am 40. 10 years to smash it! We have about 50k in short term debt plus 60k on a help to buy so I am all eyes forward to financial independence at the minute! Glad you found the case study useful. Please feel free to write in if you want to be featured. I love the fact that they are real life cases and I put all I can into making sure I’d offer the sort of guidance that I’d like to receive myself. Re the mortgage overpayments, I have a spreadsheet that I use to workout the impact of overpayments. Having such spreadsheets definitely help offer some foresight. 10 years to payoff your mortgage is an amazing goal. Having that goal will give you incredible focus. The more you can visualise it, the more you’ll achieve it. As you’re keen on Financial Independence, feel free to check out my 2mins survey. I’m gathering thoughts as I write a course on this subject. Your contribution will be useful.